A Rubber Rooster Mask including one rubber mask with Rooster design - ideal for an animal theme, or any other comical fancy dress occasion! 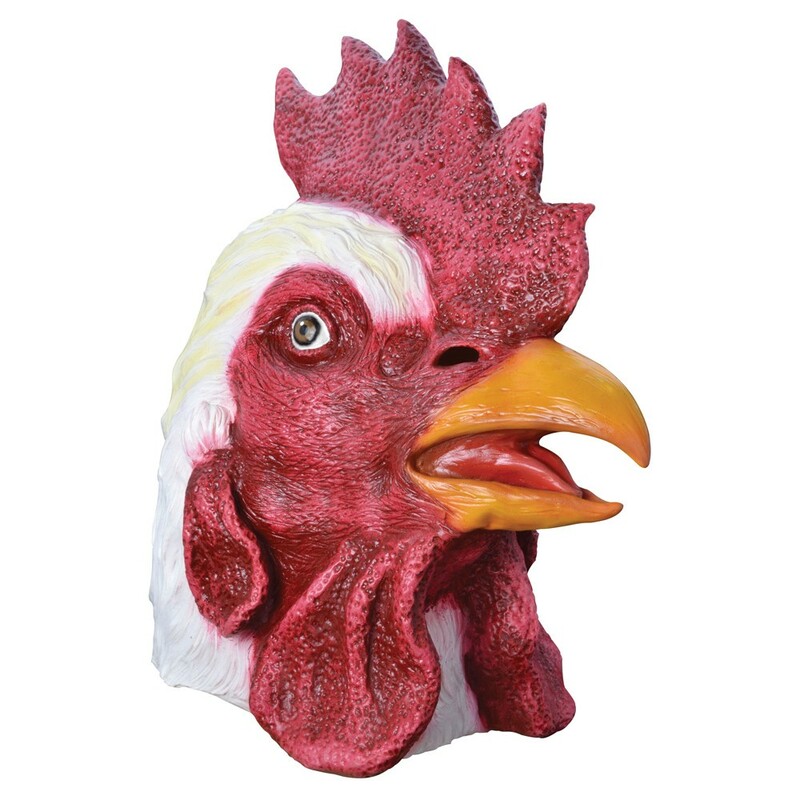 Strut your stuff around the coop with this fantastic Rubber Rooster Mask. This brilliant Rubber Rooster Mask comes complete including one Rubber Rooster Mask only. This bright yellow Rubber Rooster Mask comes complete including eye holes, red plume details, eye details, and a red beak for this comical look. Whether for an animal theme, a comedy theme, a TV & Film theme, or any fancy dress occasion, make sure you’re ready to cluck in style with this amazing Rubber Rooster Mask. A Rubber Rooster Mask including one white and red Rubber Rooster Mask.